Here are the 10 lovely candidates in their official pageant order for the Search for Lakambini ng Koronadal 2011. Photos are courtesy of Abbie Vittori of ABBIE ABE PHOTOGRAPHY, this year's official photographer. This is in celebration of the 71st Foundation Anniversary and the 11th Hinugyaw Festival of the City of Koronadal come January 3- 10, 2011. 10. Charizza Mariebelle Cerveza, Geodetic Engineers of the Phils. 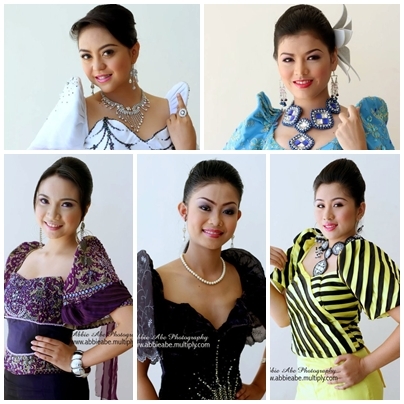 The Pageant Night will be at the South Cotabato Gym and Cultural Center on January 8, 2011.